Tribeca Coffee Company, 174 Lakeshore Rd. 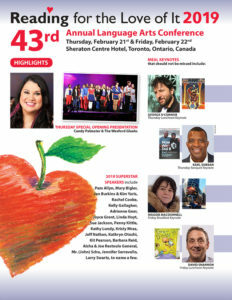 E.
If you are going to the Reading for the Love of It Conference on February 21 and 22 at the Sheraton Centre Hotel in Toronto, stop by the Peanut Butter Press booth (1206) or the Saunders Book Company booth (113) and meet Tina Powell! 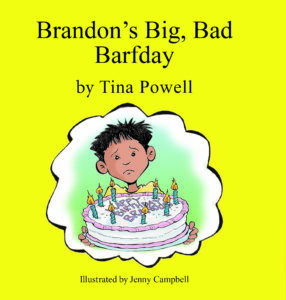 All of Tina's books will be available for purchase, including her new title for 2019 -- Brandon's Big, Bad Barfday and the 2019 edition of her bestseller -- Freddy and the Blue Jays! Celebrate the season with Tina Powell at this fun and festive event! Find something for everyone on your holiday gift list! 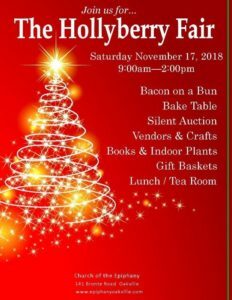 •Handmade Crafts •Gift Baskets •Attic Treasures •Book Sale There's also a bake table, a tea room, and yummy bacon on a bun! 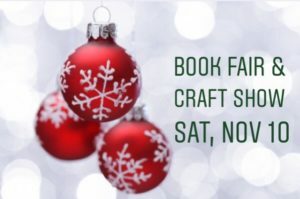 SHOWCASED TREASURES PRESENTS: A BOOK FAIR & CRAFT SHOW ON NOVEMBER 10, 2018 Tina Powell is thrilled to be showcasing her books at this Oakville event! Meet Tina as well as other local authors. 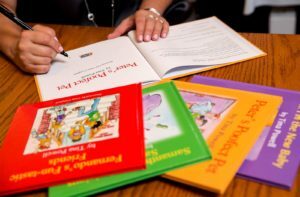 Purchase autographed books and beautiful handmade items for holiday gifts. Admission fee is $2, free for kids 3 and under. BOOOOOOOOO-K SIGNING!!! Come visit Tina at Indigo Yonge & Eglinton! FREE Halloween pencils and activity pages! 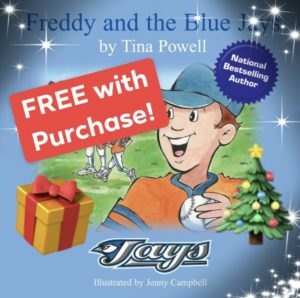 Featuring all of Tina's children’s book titles: Freddy and the Blue Jays, Peter’s Poofect Pet, Samantha’s Silly-icious Sandwiches, Fernando’s Fun-tastic Friends, and Hi! I Am the New Baby! ALL AVAILABLE IN PAPERBACK FOR ONLY $9.95 EACH!!! 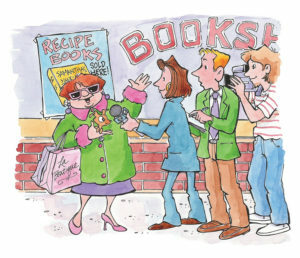 Autographed books make great Halloween treats... birthday presents... and Christmas gifts! Easy to wrap! Easy to mail! Mark your calendar!